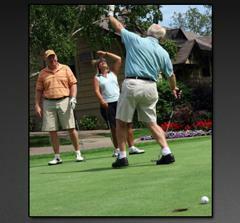 Benefiting St. Croix Valley Young Life and Fellowship of Christian Athletes. Funds are raised by the Thomas J. Scheuerman Youth Fund Committee on behalf of the Scheuerman Youth Fund. A "Scramble" team golf event held at the Stillwater Country Club on Monday, July 23, 2018. Cruise and dinner on the beautiful St. Croix River with program and a silent and live auction. A dinner cruise for two on the Majestic Star River Boat. An abundance of fun and laughter. Young Life, a Christian outreach for youth, has been working with teenagers in the St. Croix Valley for more than 40 years. 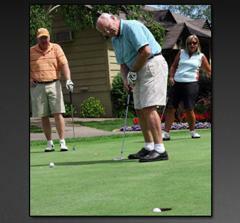 Proceeds from the Tom Scheuerman Golf Classic will be used to benefit all aspects of the local program. The authentic relationships built between kids and adults in Young Life programs are an irreplaceable link in helping young people become healthy and whole people. The Fellowship of Christian Athletes is touching millions of lives...one heart at a time. Since 1954, the Fellowship of Christian Athletes has been challenging coaches and athletes on the professional, college, high school, junior high and youth levels to use the powerful medium of athletics to impact the world for Jesus Christ. FCA focuses on serving local communities by equipping, empowering and encouraging people to make a difference for Christ.